During the Canadian government’s fall economic update, it was revealed that the government is proposing a fast-track visa and work permit as part of a newly unveiled Global Skills Strategy. The strategy is meant to help Canadian businesses attract global talent. The Strategy is setting a standard of 10 days to two weeks for processing Global Skills work permit visas for “low-risk, high-skill talent.” Companies will apply for a certain number of permits, based on labour market benefits that they demonstrate, such as knowledge transfer and creating jobs for Canadians. This process will be run by a dedicated team that will work with the companies to complete applications quickly. Once a company has its set number of work permits, they will have two weeks to issue them to employees. This process will apply to all types of jobs — such as business and technical — and there are no education requirements or limitations to the way companies use the permits. The Strategy also includes creating a Short Duration Work Permit exemption, which will apply to work terms of fewer than 30 days in a year, or brief academic stays. The government says it is targeting high-growth Canadian companies that need access to global talent to accelerate growth and investment, as well as global companies that are making large investments in Canada, relocating to Canada, and establishing production in Canada. Global companies that want to take advantage of the Global Skills work permit will have to do so through the government’s newly-created Invest in Canada office. Canadian companies will work with Employment and Skills Development Canada (ESDC). Canadian entrepreneurs have been vocal about the need for a reformed immigration system that takes into account the needs of nimble startups. In the past, entrepreneurs have had to go through extensive red tape to employ a foreign national, and even then, they’re waiting up to six months to find out if they can bring in talent. For a fast-growing startup competing for strong talent globally, this is time entrepreneurs say that they don’t have. Minister of Innovation, Science and Economic Development Navdeep Bains, who has been touring across Canada getting feedback on the government’s innovation strategy, has said many times that access to senior talent has been one of the top concerns brought to him. While the government had previously launched a Startup Visa program, it has faced criticism; as of February 2016, the program had only accepted 100 people through the program. 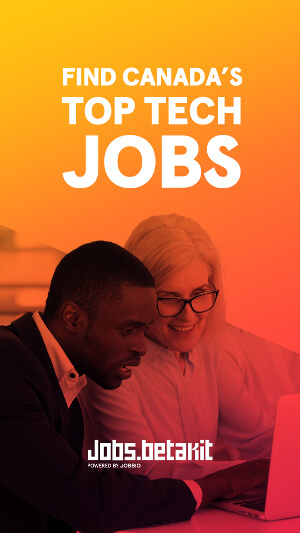 “This announcement means that Canadian companies will be able to attract the best talent in the world, allowing them to scale their companies here, creating many more Canadian jobs,” said Chris Plunkett, director of external relations at Communitech. The proposed Fast Track Visa will hopefully put Canada on the same competitive field as economies like Ireland, which has increased the number of ICT permits, and have a standard processing time for Visas at six-eight weeks. 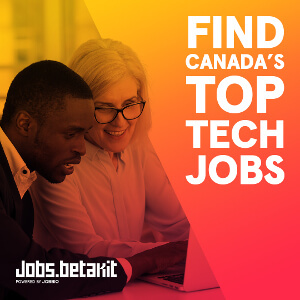 “Today’s announcement puts Canadian technology firms on better footing in the battle for specialized and heavily sought after pool of global tech talent. CEOs from Canada’s fastest growing scale-ups have been united under the Council of Canadian Innovators’ banner in their advocacy for a Fast Track Visa program for highly skilled tech talent and management,” said Benjamin Bergen, executive director of the Canadian Council of Innovators. Throughout September, CCI hosted roundtables with Minister of Immigration, Refugees and Citizenship John McCallum and Canadian CEOs to discuss the need for a Fast Track Visa. “This news is a reflection of the collaboration between Minister McCallum, the Federal Government and CCI’s CEOs and we would like to thank him for his leadership. In order for Canada to successfully transition our economy into the 21st century, this type of collaboration and leadership must continue between domestic technology CEOs and the government,” said Bergen. What about unemployed Canadians? Do they not get a chance to get some upgrading? Unemployment is on the rise in Alberta and exceeds the maritime. Ever need a plumber in the middle of the night? An electrician? A furnace technician if you live in a cold and remote part of the country? Lots of things – but it takes cash and that is the problem. Coders could not eat, sleep, drive, get medical attention or even have shelter or go to movie or a restaurant without all the other things – they all tie in together. The lib feds do not give a rats azz about Canadians – they want the high life and nothing more. Your solution is far too simplistic. Yes, of course, I didn’t go into detail. I agree that there should be more types of professionals and they all need help finding work. However, what is the government supposed to do about the price of oil being low? Not much they can do. These other professions will be needed, but in fewer quantities than in the past as technology evolves. Why can’t an electrician who is struggling to get by learn to make extra money as a coder or designer? Knowledge economy is the future, people should adapt to that. Stop spending billions off shore for one thing. Spend the money in Canada. Stop importing oil from despotic nations to supply the eastern half of Canada is another. One ship wreck will spill oil for thousands of miles. Stop giving money to islamic nations to buy their oil so they can ignore the environment and pollute as they do. Stop funding them so they can imprison and torture and kill indiscriminately. Carbon taxes are being repealed by many nations as economy wreckers – do not tax the country into the poor house. Remember – not one green project can ever be built or maintained without oil. Develop – and with that better tech to reduce pollution. Look after your own people first! Canadians seem to have forgotten those few things. Yep, agree with those points about Oil industry. However, the issue remains, we need more senior developers in Canada to help grow our companies so we can hire more Canadians. it is pretty simple: if a company needs a SOFTWARE ENGINEER (not a plumber), and if there is a shortage of SOFTWARE ENGINEERS (not plumbers), it will be allowed to hire a foreign SOFTWARE ENGINEER (not a plumber). And if you want a job as SOFTWARE ENGINEER (not a plumber) then you need to learn how to code. Is that clear enough? Point is there are more needs than coders – that was the point – clear enough? I will let you have the last word because it seems folks like you want it so badly. the point is that this visa is for CODERS not plumbers so why do you bring up the point about plumbers that is totally unrelated to this visa?